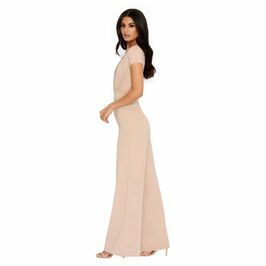 Get loose and get low with our floor-length jumpsuit, featuring an extreme plunge neckline and delicate cap sleeves, it’s a sophisticated yet daring outfit. The wide flowing legs are giving us total princess Jasmin vibes! Also available in petite.